Feeling and showing gratitude towards yourself, other, and the universe is important when it comes to staying in and celebrating the present. In cultivating gratitude, you’re more able to take in the positive vibes from the universe and give them in return. There are many ways and methods you can use to help tap into your gratitude. However, there’s one way in particular that you may not be very familiar with…by tapping into your Root Chakra. Doing so can help balance anything that might be feeling out of balance in your life and help you better tune in to your gratitude practices. What exactly is the Root Chakra? Your body had many different chakras located throughout. 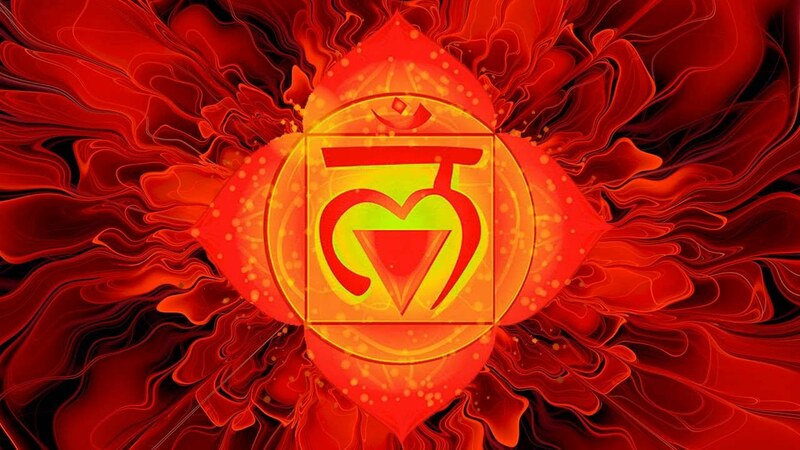 The Root Chakra is located at the base of your spine and is considered the foundation for all other chakras. In essence, the Root Chakra is what all of the other chakras build upon in order to maintain harmony and balance within you. 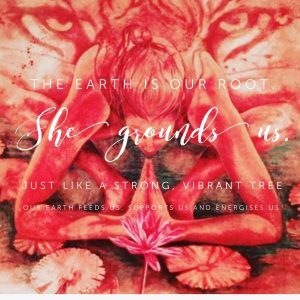 It’s the Root Chakra that connects us to Mother Nature and Earth and gives us a sense of security and belonging when in balance. However, an unbalanced Root Chakra can make us feel the opposite. We may feel less secure, sure of ourselves, and contented when it’s out of balance. This can cause you to feel a sense of low self-esteem or self-worth. So, it’s always important to make sure your Root Chakra is kept in check and properly balanced so that your foundation will remain strong. How can you balance your Root Chakra? Since keeping your Root Chakra in balance is so important, it’s also important to know how to actually balance it in the first place. This is especially true if you feel like your chakras are off or you’ve been feeling self-conscious and not very secure lately. The best way to balance your Root Chakra is through a simple meditation. You’ll want to sit in a cross-legged position on the floor. Use a yoga or exercise mat if that makes you more comfortable. Now closer your eyes, roll your shoulders back, and keep your spine straight. While you’re working on your posture, draw your focus to the base of your spine…where you Root Chakra is located. Take in deep breathes and exhale while imaging a warming red color surrounding you…balancing you. Red is associated with the Root Chakra, so envisioning red all around you will help you better access the chakra. Remember that when you exhale, think about exhaling all of your self-doubt and anxiety. And repeat this for eight to ten breaths. Why is cultivating gratitude a vital key to our happiness? When our Root Chakra is in balance and helping us live our lives full of self-worth and positivity, we’re more open to giving and receiving gratitude. In feeling more connected and rooted within our Root Chakra, we’re more apt to feel a deeper sense of content. And with happiness comes gratitude. In keeping in tune with our Root Chakra, we are in turn, keeping in tune with our sense of gratitude and helping to establish a life lived to its highest potential.